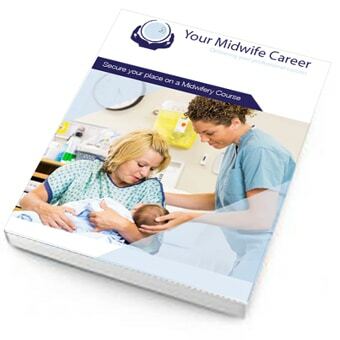 The Midwive University Selection Process has many steps and can seem very confusing, however our Midwife Selection eBook will guide you through the process so that you are 100% prepared. Download today! Each university will have a slightly different selection process. Many will have details on their websites about what to expect. If not, you will be sent information when you are invited to attend. Most selection days will include one of the several different types of interview we discuss below. Some universities will expect you to take part in extra types of test or exercise. Tutors and staff want you feel as comfortable and welcome as possible. It’s easy to forget that it isn’t just the university which is deciding who to choose- you are also choosing which university you want to go to! Each university wants to attract the best and brightest candidates, so they will be out to make a good impression and make the day as smooth and enjoyable as they can. Selection days often start with a presentation or briefing, welcoming you to the uni, explaining about the day. You might get a chance to talk to students already enrolled on the course, and perhaps ask questions. If you don’t get the chance to do these things at your selection day it may be because the uni has a separate open day event where you can have a good look around in a less formal setting. Each university interview process will be slightly different but there will be a lot of similarity between them as well.